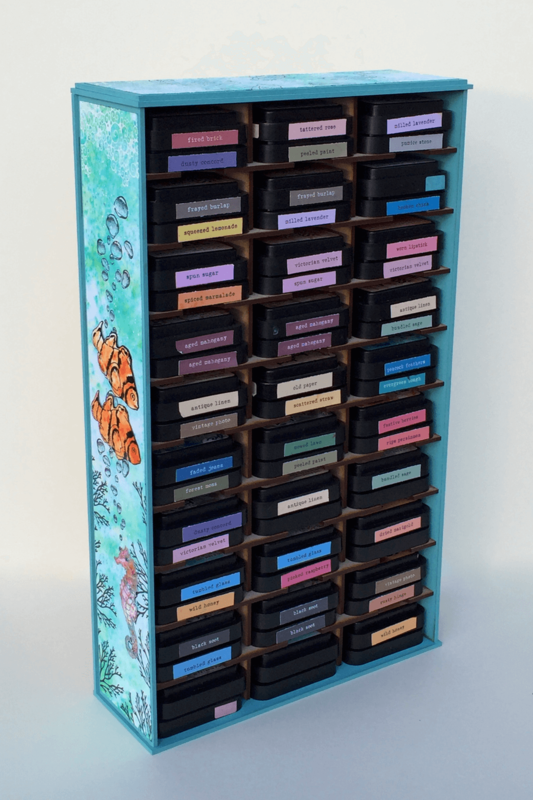 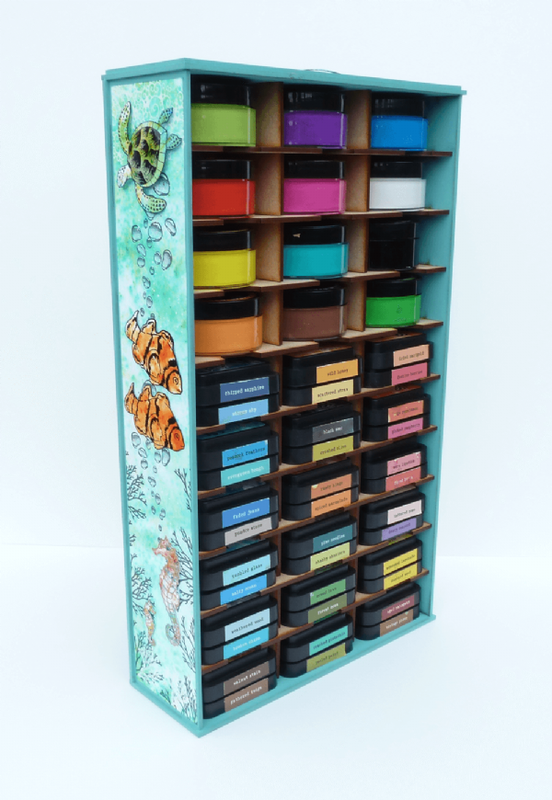 Made from 3mm MDF and designed to hold up to 60 Tim Holtz Distress Ink Pads plus. Comes flat pack and is easy to assemble. 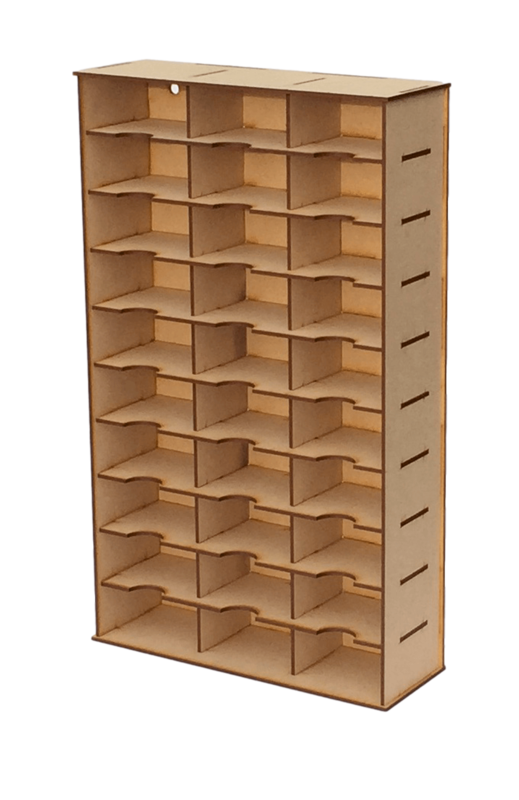 Can be free standing or wall mounted.